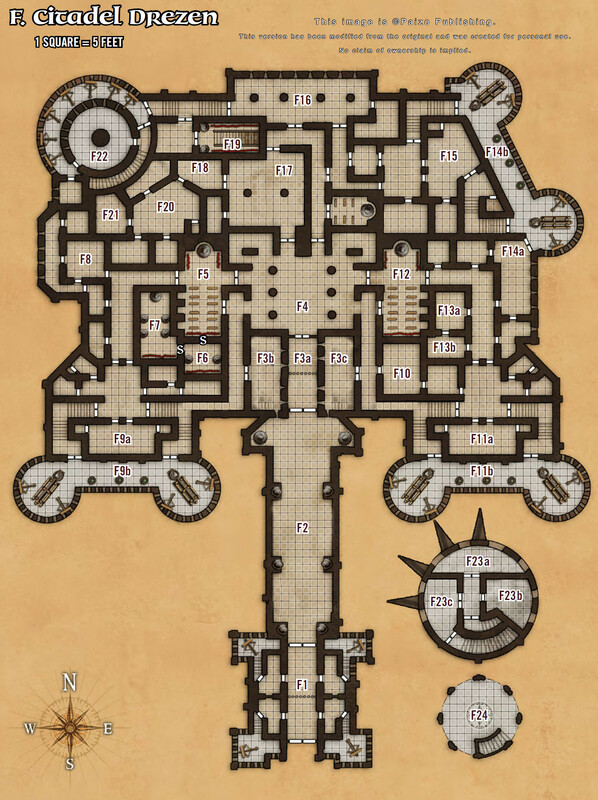 Third Session (12 page pdf) – We reduce the remaining demonic armies and lay siege to the fortress of Drezen. The command staff inserts via a poorly defended point and sweeps and clears a good portion of the ground level, allowing the paladin forces into the keep. First we personally assault the brimorak-manned catapult towers, then we lead our forces against their armies and rout them. That then leaves the citadel buttoned up – time for PC SpecOps strikes! Calanthe then peppers the other brimorak with a magic missiles to leave it horribly wounded. Trystan finishes the job with two shots, clean through the creature’s eyes. It falls from the parapet, screaming like a hell-muppet. We kill constructs and demons and cultists with gimp masks and elementals. We come across another shrine where Iomedae appears to us again. Oh, as if, we’re LG not Lawful Stupid, we channel some positive energy and when she takes damage we smoke her. She’s a succubus and she enslaves Shawanda but I give her an Egorian style beat down. They all pause to pray at the altar of Iomedae. “Forgive us our lusty thoughts!” mumbles Shawanda under her breath. The other crusaders try to make sense of her words. “Lusty slots?” thinks Trystan. “Hungry slots?” thinks Tsuguri. “Lusty sluts?” thinks Antonius. This is real dialogue, Patrick was muttering and we couldn’t hear him, and we all heard variations on dirty things, as we are wont to do. We fight a mimic, during which Tsuguri insists that pee is the only thing that will get the monster’s adhesive excretion off people. After several rounds of death and Tsuguri attempting to urinate on his party members, they all come unstuck. In Aliens fashion, we declare the area “secure” and let in our paladins through the front door to occupy the better part of the first floor. We go up to one of the parapets and find a crazy barbarian woman that’s decapitated all her tribesmen. Calanthe (Tim) decides to use a spell to impersonate antipaladin Staunton Vhane halfway through this which comes close to ending in fratricide. I choke her out (monk grappling is so great against casters and two-handed weapon users!). We toss her in a tiger cage and wrap up! This was a fun session, we were a little punchy so it got a little silly but good. We’re decently overpowered in this AP and it’s a nice change – it’s boring rolling over opposition when it’s meaningless grind like a couple sessions ago, but when it’s interesting stuff it’s as fun as being on the ropes all the time. Plus, it makes us feel more OK with taking prisoners and negotiating and stuff, as opposed to “I MUST USE MY ACTION ECONOMY FOR TOTAL WAR OR WE WILL BE TPKED.” That gets old. This entry was posted in session summaries and tagged actual play, adventure path, crusade, D&D, demons, golarion, mendev, Pathfinder, session summary, story hour, worldwound, wrath of the righteous. Bookmark the permalink.